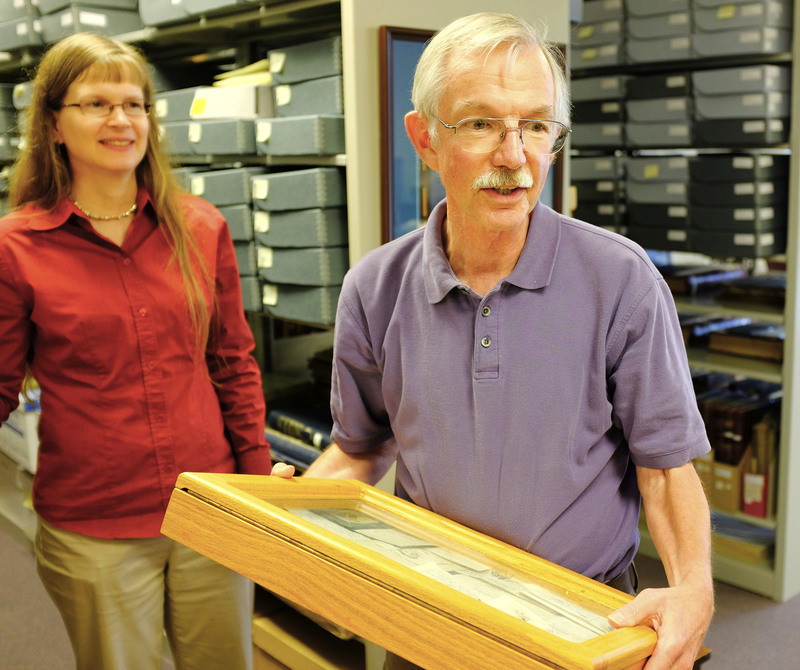 Jill Hennick, director of the Danish American Archive and Library, and Tim Jensen, DAAL board member and volunteer, display shadowboxes containing Danish heritage artifacts. Danish American Archive supporters filled the Blair council chamber Tuesday evening in support of the Archive’s participation in the new Blair Library and Technology center. Following a 4-4 council tie vote on the resolution, Mayor Jim Realph voted to approve the participation resolution. 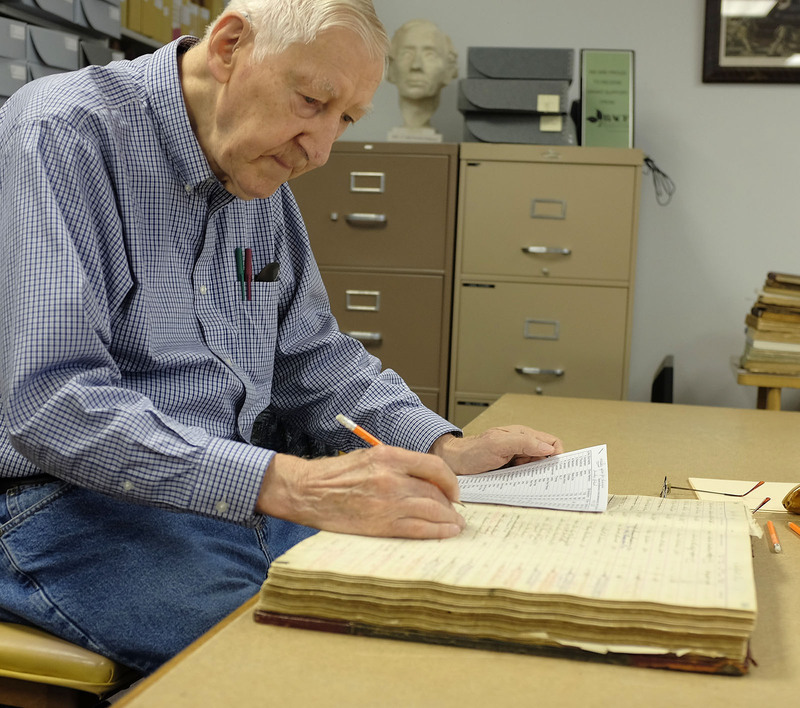 Verlan Hanson checks information recorded from Danish Brotherhood registration ledgers. 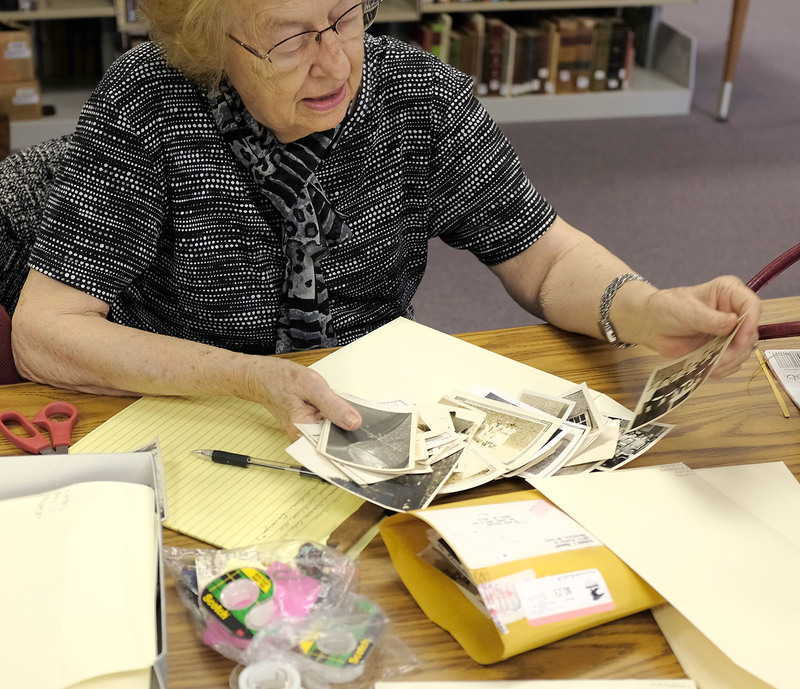 Florence Larsen archives and catalogs material related to the Oaks Indian Mission in Oklahoma. 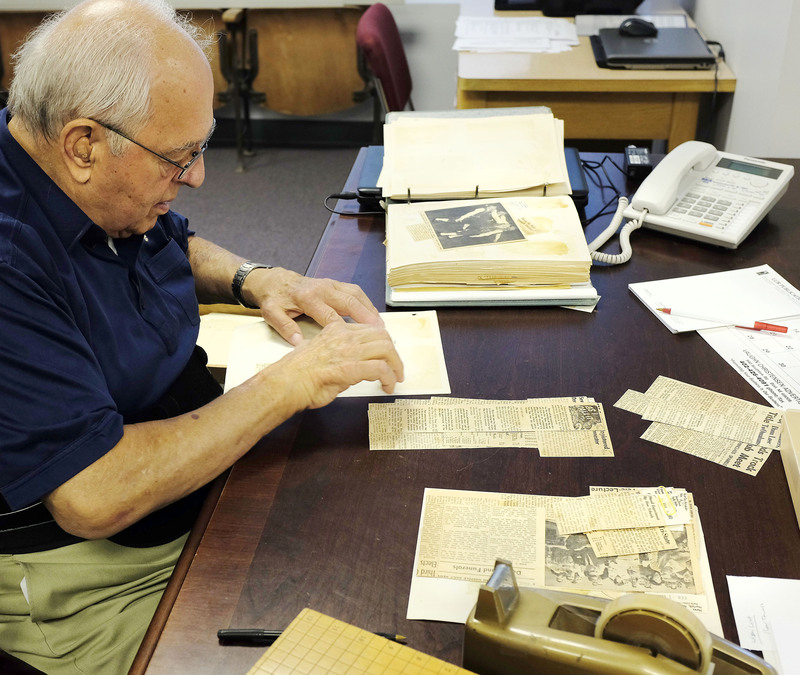 George Madsen drives from Omaha to volunteer at the Archive.